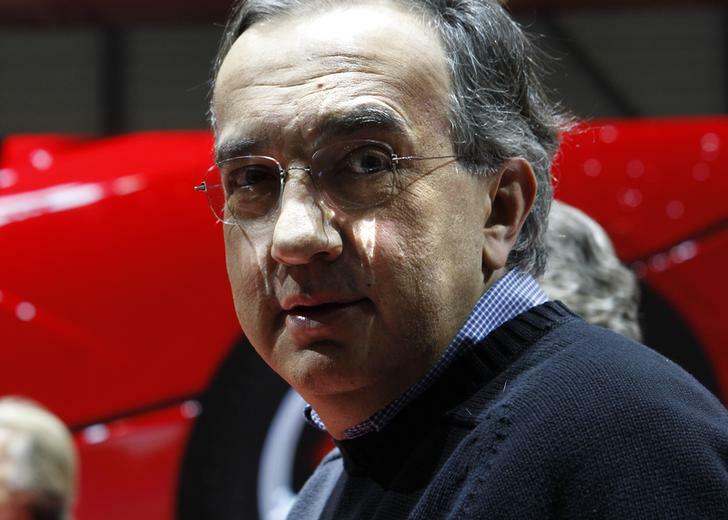 Sergio Marchionne wants to turbo-boost sales 59 percent by 2018. That would mean doubling demand for Jeep and other U.S. brands while outgrowing the market and bigger and better-funded rivals. Saving Chrysler in the face of widespread doubt looks almost easy by comparison. Fiat CEO Sergio Marchionne poses after the presentation of the new LaFerrari hybrid car on the Ferrari stand during the first media day of the 83rd Geneva Car Show at the Palexpo Arena in Geneva March 5, 2013. Fiat Chrysler released its first set of quarterly earnings as a combined company on May 6. The company posted a loss of 319 million euros for the first three months of the year. Excluding unusual items related to the acquisition of Chrysler, net profit would have been 71 million euros. Revenue for the quarter was 22.1 billion euros. Net debt stood at 10 billion euros. The company also unveiled its five-year plan at its investor day on May 6. The Italian-American automaker hopes to sell almost 7 million vehicles in 2018, representing an increase of 59 percent over last year’s 4.4 million.